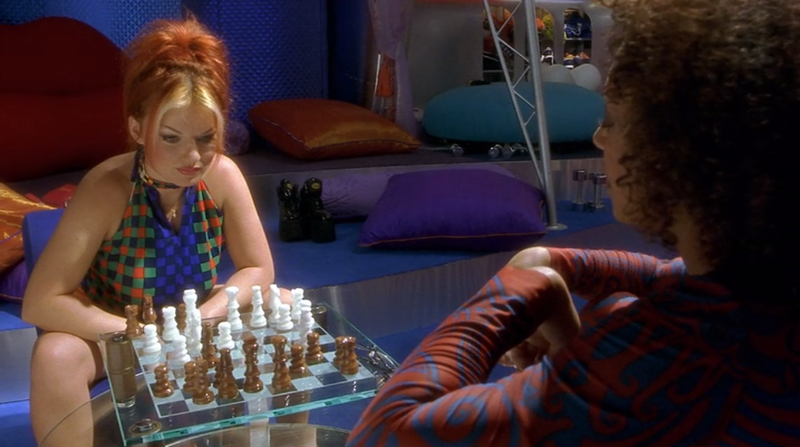 The inevitable is happening today: I’m talking about 1997’s Spice World. If you’ve never seen it before, it’s basically A Hard Day’s Night except with the Spice Girls…and it’s utterly ridiculous. Seriously, I have to call my mom and apologize for making her take me to see this. 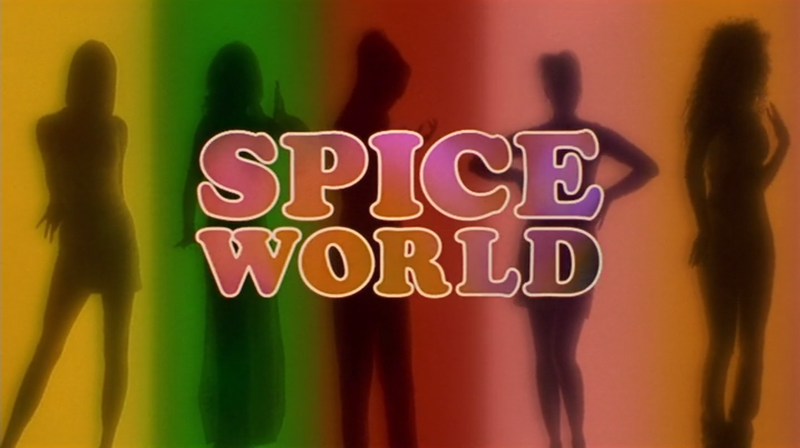 The Spice Girls were the bomb.com when I was a little kid. My friends and I always had “our girl” and we pretended to be them, dancing and singing Spice Girls songs on the playground. I wasn’t alone in this experience, right? I meticulously studied their outfits and read up on them on the internet which was an extremely time consuming activity in 1997, let me tell you. I even had a book about them that I bought at the Scholastic Book Fair! Hell yeah, you betcha I was a serious fan! The film opens up with the girls performing “Too Much” in some classy white ensembles. Love this crazy “girl power” maxi dress. Their outfits are just SO FUN. Seriously. 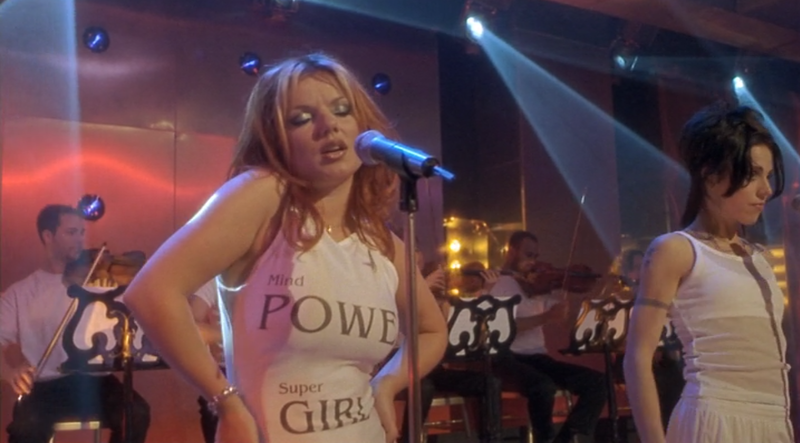 Love Baby Spice’s “Baby” necklace and Ginger’s romper. As a child, I legitimately thought that this entire set could be fit into one bus. Like, it never occurred to me that the inside of the bus wasn’t REALLY the inside of the bus. Obviously it’s much, much bigger! Scary’s got some kind of crazy Missy Elliott thing goin on. 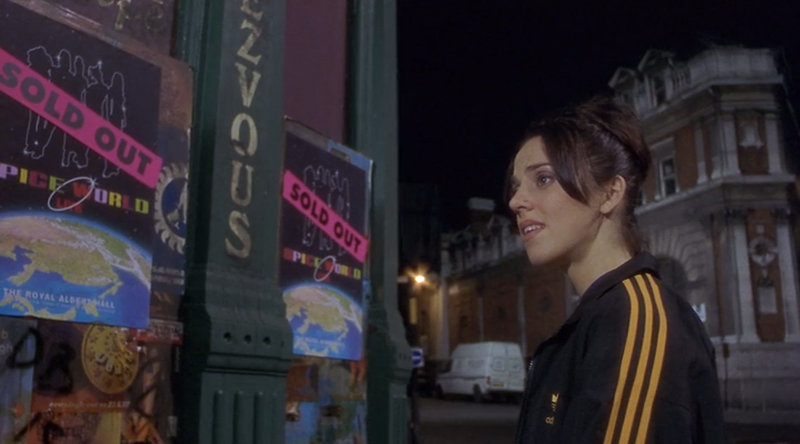 In this scene, Baby Spice laments that she will still be referred to as “Baby” when she’s like 30. I was going to look her up and be like, oh surprise, she’s 30 this year! I love a good dress-up montage! 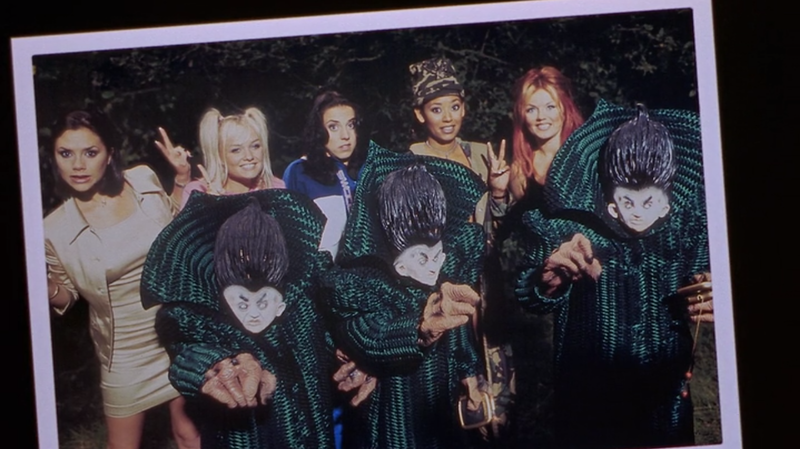 The Spice Girls, sick of being directed by a photographer, decide they’re going “do their own thing.” Which apparently means dressing up like other pop culture icons. And then they dress up as each other. I actually love this balm print bustier dress. Mock turtlenecks are about due for a come-back, right? REMEMBER WHEN THESE GUYS TURNED AROUND AND THEIR BUTTS WERE HANGING OUT?! I was so embarrassed. It’s the middle of the night. The girls go into the woods to pee…and this is what they choose to wear? I mean, latex?! Really?! Love that daisy print lace top. I also loved how Posh wore a camo bodycon dress rather than fatigues and walked around all the obstacles. Me and all my friends definitely need matching robes in different colors, right? Side note, silver was like SO COOL in the late 90’s. Remember? We must have just been dressing for the upcoming Robot Wars or whatever. Why is her tie tucked into her shirt??? That purple suede jacket is actually pretty cute. Let’s bring this hairstyle back, k? My actual reaction to babies. So you probably don’t even remember this, but the girls’ pregnant friend goes into labor at a club, so they drive her in their fancy bus to the hospital. In preparation to deliver the baby, they put on rubber gloves. Love that halter/hot pants combo! Luckily the girls finally make it to their concert and all is well. Yay! So that was pretty much it. 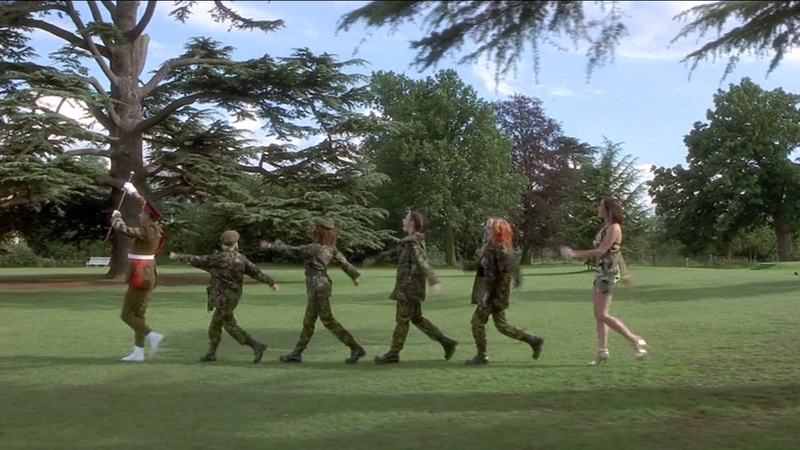 Then Ginger Spice left and as far I’m concerned, the Spice Girls were over. At least we have this wonderful time capsule of insane 90’s fashion forever and ever, right?